ALL TOP PRIZES HAVE BEEN CLAIMED. FINAL DATE TO CLAIM OTHER PRIZES IS 2/27/2020. 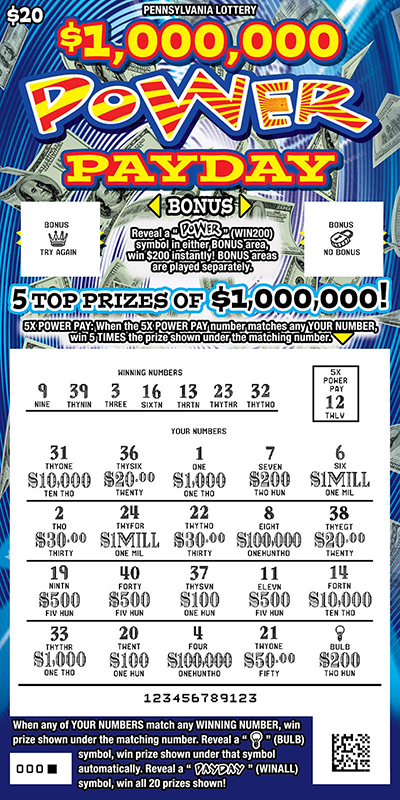 $1,000,000 Power Payday is a $20 game that offers 5 top prizes of $1,000,000. When any of YOUR NUMBERS match any WINNING NUMBER, win prize shown under the matching number. Reveal a "LIGHTBULB" (BULB) symbol, win prize shown under that symbol automatically. Reveal a "PAYDAY" (WINALL) symbol, win all 20 prizes shown! When the 5X POWER PAY number matches any YOUR NUMBER, win 5 TIMES the prize shown under the matching number. 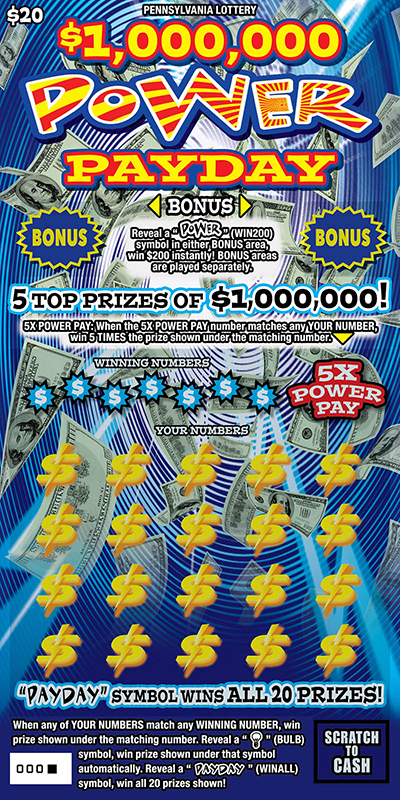 BONUS: Reveal a "POWER" (WIN200) symbol in either BONUS area, win $200 instantly! BONUS areas are played separately.